First on MNP: Nine Media Corporation President and Chief Executive Officer Reggie Galura is about to leave his post, Media Newser Philippines has learned exclusively. 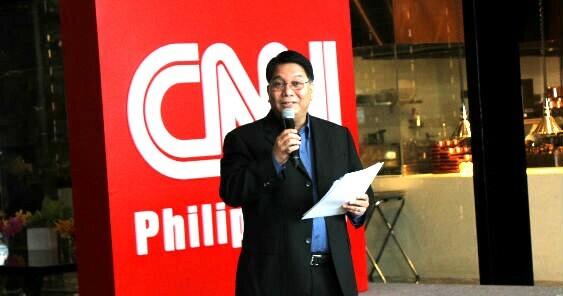 Galura, who brokered the deal with CNN for the launch of the localized news channel, has announced his retirement effective September 30. Galura joined the company in 2011 back when it was still known as the fledgling Solar News. He remained in charge even after Philippine Business Daily Mirror Publishing Inc. owner Antonio Cabangon Chua bought its entire stake in August 2014 -- where it was rebranded as Nine Media Corporation. Previously, Galura served as the executive vice president and chief operating officer for ABC-5, and would later be named one of its managing directors, along with Bobby Barreiro, when it was relaunched as TV5 in 2008. Galura's retirement comes on the heels of the network's decision this month to lay off at least a hundred of its employees, mostly those who are working in the news department, according to our network sources. More on this story in the coming days!